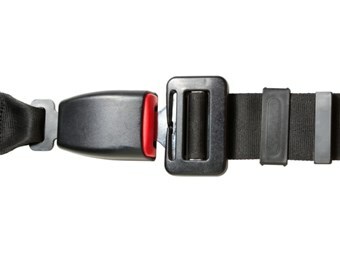 Operators are becoming aware of a Federal Government assistance package to fund seatbelts for remote and regional contracted school bus services. While the scheme won’t attract every operator as some state-based contracts discourage seatbelts to prevent limiting seating capacity, several operators have sought and received funding from the past seven rounds, with Round 8 closing soon. The ‘Seatbelts for Kids’ scheme provides funding for up to $25,000. Infrastructure and Transport Parliamentary Secretary Catherine King says an additional 57 buses from 27 operators were approved for funding in Round 7, taking total federal approvals under the scheme to 278 buses from 133 operators. "The figure of 57 buses funded under Round 7 is a boost on the first six rounds of the program which saw an average of around 37 buses funded," King says. "It is good to see the number of buses being funded to fit seatbelts is high in this round - we want this rate of uptake to continue," she says. King says operators with an existing state or territory government contract to provide school bus services on a recognised rural and regional school bus route can apply for funding to fit seatbelts to new buses or retrofit existing buses. Under the conditions of the scheme, the service must be identified as high risk under the national guidelines for risk assessment of school bus routes. Also, the service must be operated over roads with speed limits in excess of 80km an hour and not in a metropolitan area. Applications for Seatbelts for Kids Round 8 close on July 22.